Welcome to the 631st Edition of my series. I hope everyone is having a good holiday however it is to be celebrated. After having a playoff bye in the fantasy football playoffs last week, I am in the semi-finals. I am hoping Kirk Cousins is able to pull through after having to take out Carson Wentz who got injured. Not much else happening at the moment so I will just get on with my selections for the week. 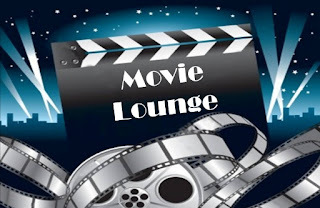 A Father...a Son...Once Upon a Time in Hollywood (2005): I start the week out with what is one of three documentaries for the week. 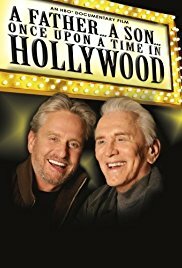 Lee Grant directed this film that takes a look at father and son actors Kirk and Michael Douglas. This takes a look at their relationship and careers. A lot of the documentary is interviewing them together and being very honest with each other. There is one point that Kirk still seems bitter about not being cast in ONCE FLEW OVER THE CUCKOO'S nest which he originated on stage and Michael was a producer for the movie. Other highlights include Academy Awards footage of Kirk and his frequent co-star Burt Lancaster. This was a really good Hollywood documentary that while rather touching pulls no punches. 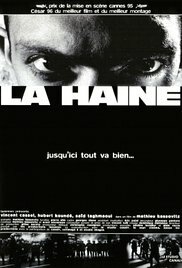 La Haine (1995): This is my French film for the week which was written directed by Matthieu Kassovitz. This follows the lives of Vinz, played by Vincent Cassel, Hubert, played by Hubert Kounde, and Said, played by Said Taghmaoui, after a violent riot in the French suburbs where there is a lot of tension with the police with revenge being vowed for a friend in a coma. It is hard to put this one into words. It is a really good look at social tension that can come from prejudice which is similar to a later selection this week. This is a very gritty and realistic look into the French suburbs. 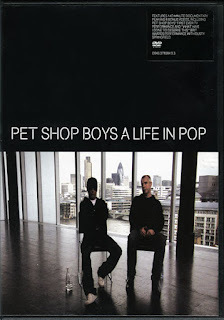 Pet Shop Boys: A Life in Pop (2006): This is my second documentary for the week which takes a look at the music industry. 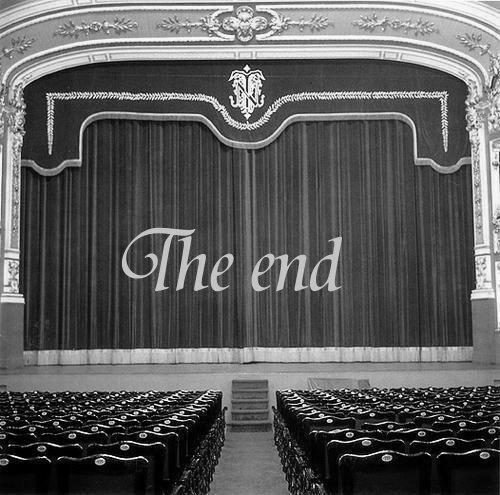 This takes a look at the Pet Shop Boys and the meeting of members Neil Tennant and Chris Lowe. They are known for their techno music and meaningful lyrics. Their most known songs are WEST END GIRLS and OPPORTUNITIES. A couple interesting things about them that I did know know is that they wrote a musical called CLOSER TO HEAVEN and that they presented the silent film BATTLESHIP POTEMKIN in London's Trafalgar Square where they wrote a live musical score to go with it which sounded really good from what I heard. Interviews include Robbie Williams, Jake Shears of Scissor Sisters, and Brandon Flowers of the Killers. I have always enjoyed their music a lot and was really good to get some insight on them. This came out after they had been together for 20 years. 20,000 Cheers for the Chain Gang (1933): This is my musical short for the week which parodies last week's feature I AM A FUGITIVE FROM THE CHAIN GANG which is from that DVD. In this short, a group of people escape due to really harsh conditions. They learn that life outside of prison is not much better and that the prisons have made some reforms that include steak dinners and stage shows for entertainment and try to get back. 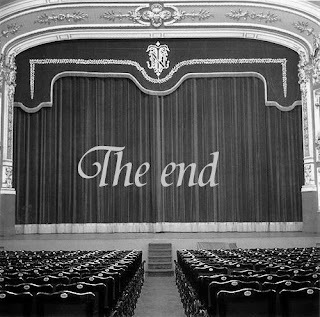 To understand and appreciate this, you have to watch the movie it parodies first and this one. This does glorify prison life a bit but it is a parody. The feature does not glorify it and it did a lot for prison reform. Pushover (1954): This is my film noir for the week. 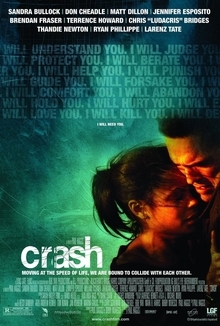 Richard Quine directed this film based on the novel by Thomas Walsh. Fred MacMurray stars as Paul Sheridan who is assigned to strike up a friendship with Lona McLane, played by Kim Novak, which is the girlfriend of the man, played by Philip Carey, suspected of engineering a bank heist. She slowly corrupts Paul in her own scheme to kill her man. Dorothy Malone and E.G. Marshall co-star in this film noir. MacMurray is most known for his Disney films but shows that he can play in a pretty intense drama along with DOUBLE INDEMNITY. Novak makes her film debut as the femme fatale. Another great entry into the Film Noir world which is my favorite genre from this era. 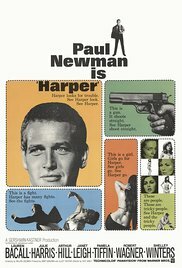 Harper (1966): Jack Smight directed this crime drama based on the novel by Ross MacDonald. Paul Newman plays his first detective character in private investigator Lew Harper. He is hired by the wealthy Mrs. Sampson, played by Lauren Bacall, to find her kidnapped husband. Like most detective stories, this leads into far for than what he bargains for but not more than he can handle. Julie Harris, Arthur Hill, Janet Leigh, Arthur Hill, Pamela Tiflin, Robert Wagner, Shelley Winters, Harold Gould, Roy Jenson, Strother Martin, and many others co-star in this film. Newman is pretty good as the cool detective. This might have been inspired to be made upon the rise of James Bond but do not know that for sure. Either way, this is a good detective story that will keep people guessing. Crash (2004): Paul Haggis directed and co-wrote this film which features multiple stories in a 36 hour period in Los Angeles. This takes a look at the racial tensions of misunderstandings and can cloud the judgement of many. This takes a look at many races and what can happen to cause possible prejudice in other people. It also shows the redemption that can happen. There are many different plots in the film, each one quite compelling. Sandra Bullock, Don Cheadle, Brendan Fraser, Michael Pena, Keith David, Loretta Devine, Tony Danza, Matt Dillon, Jennifer Esposito, William Fichtner, Terrence Howard, Daniel Dae Kim, Ludacris, Thandie Newton, Ryan Phillippe, Marina Sirtis, Larenz Tate, and many others co-star in this film. I thought Dillon's police officer character was the most interesting in this film. This film does a great job showing racism comes from everywhere and is a learned behavior. 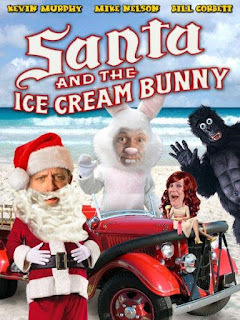 Santa and the Ice Cream Bunny (1972): This is my holiday B-movie for the week that goes along quite well with the 1959 movie SANTA CLAUS and the later SANTA CLAUS CONQUERS THE MARTIANS. In this one, Santa's sleigh gets stuck in Florida just days before Christmas and due to the weather, it was too much for the reindeer so they headed back without Santa. Also, no I don't know why Santa and the reindeer were going out days before Christmas. They kids there try to find a suitable animal but none of them can do it and these include a pig, sheep, donkey, and gorilla, none of which are able to fly like the reindeer. After Santa is done trying animals and singing his annoying song, he tells the kids of Hans Christian Anderson's THUMBELINA which starts a whole new movie of its own until it is done. I don't know much about this story so I have no idea how accurate this is but done well on the acting and production values. When the story is over, we finally meet this Ice Cream Bunny whose only appearance as far as I know was in this movie. He must be the black sheep brother to the Easter Bunny I guess and even the Ice Cream bunny did not have much in the way of ice cream. Also in this movie Tom Sawyer and Huckleberry Finn have cameo appearances. I don't think much more needs to be said except this is available on Amazon Prime. You can watch this in two ways, one is with RIFFTRAX commentary from MST3K alums Michael J. Nelson, Kevin Murphy, and Bill Corbett or you can watch without and make your own commentary. It is appearing the only version available without is on a Roku player but could not find on my computer. 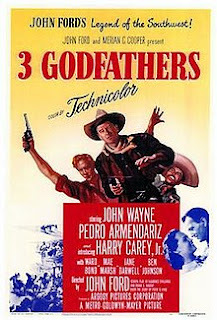 3 Godfathers (1948): In a sense, this is a holiday selection and a variation on the Three Wise Men. John Ford directed this western which stars John Wayne, Pedro Armendariz, and Harry Carey Jr. and not it's not that commentator from the Cubs. This trio is a group of outlaws on the lam after a robbery and come across a dying woman and her baby who she requests they take the baby safely across the desert. They risk everything to accommodate to the dying wish. Ward Bond, Mae Marsh, Mildred Natwick, Jane Darwell, Guy Kibbee, Dorothy Ford, Ben Johnson, and many others co-star in this film. This is a pretty good biblical variation with what might be one of John Wayne's best movies. 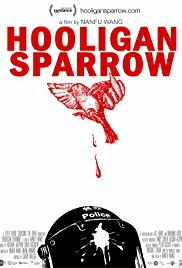 Hooligan Sparrow (2016): I end the week with the third documentary of this week. I have done film and music so now I do more of a political one. This takes a look at China and of activist Ye Haiyan aka Sparrow who seeks justice for for a school master who sexually abused six girls. She does this at the risk of just about everyone including the government, police, and even her neighbors at one point. This is a pretty good and sad look at the conditions and justice system of China and the everyday citizens standing up to it. This is available to watch on Netflix. Well, that is it for this week. Tell me what you like and dislike and stay tuned for next week which so far includes Frances McDormand, Bruce Greenwood, Edward G. Robinson, and many others.